Most of us have travelled to Sydney, but if you’re anything like me, every trip has been for a purpose – work, or an event. The cosmopolitan capital is not somewhere that I would usually go for a “holiday”, yet there are so many things on my bucket list that I just never seem to find the time to tick off. So, with the help of some friends, I headed off for a “Girls weekend” to find some hidden gems in this city that has been Instagrammed, photographed and written about countless times. I’m talking about a bunch of girls, leaving the husbands, partners, pets, kids behind and taking off for an easy escape. 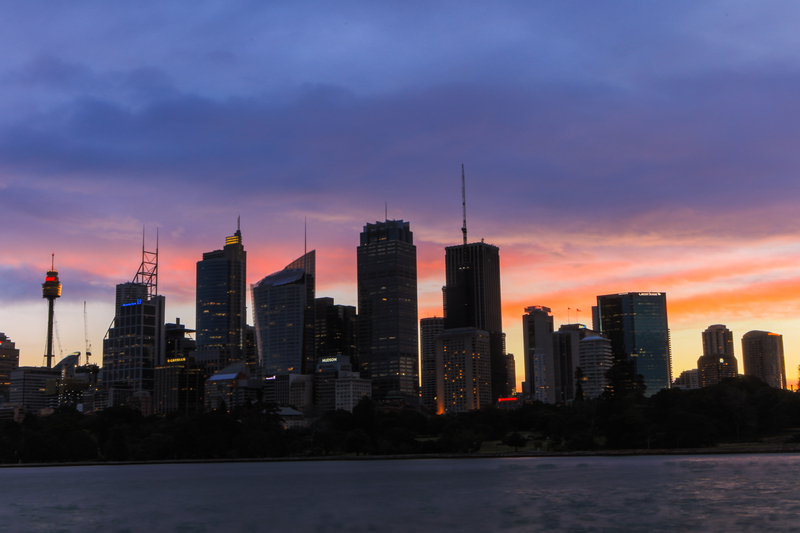 With Sydney just a short and fairly cheap flight away, it’s as viable a plan as any road trip. My favourite thing about Sydney is the beach side suburbs. So our first stop had to be Bondi Beach. 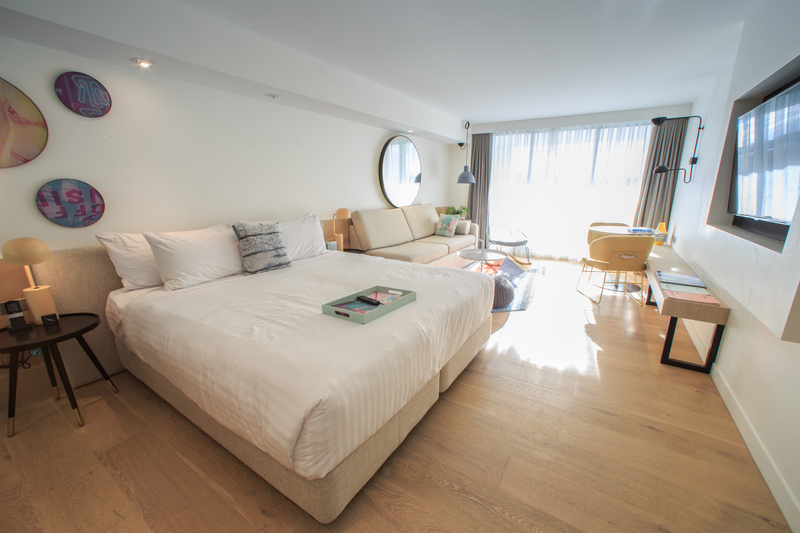 Hotel and Airbnb options abound, but with traffic and parking so hectic, finding somewhere central should be a priority. My top pick is QT Bondi located on Beach Road, with a Woolworths and liquor store right beneath high end, luxury hotel style apartments In true QT style, the service is first class and the venue quirky and fun. 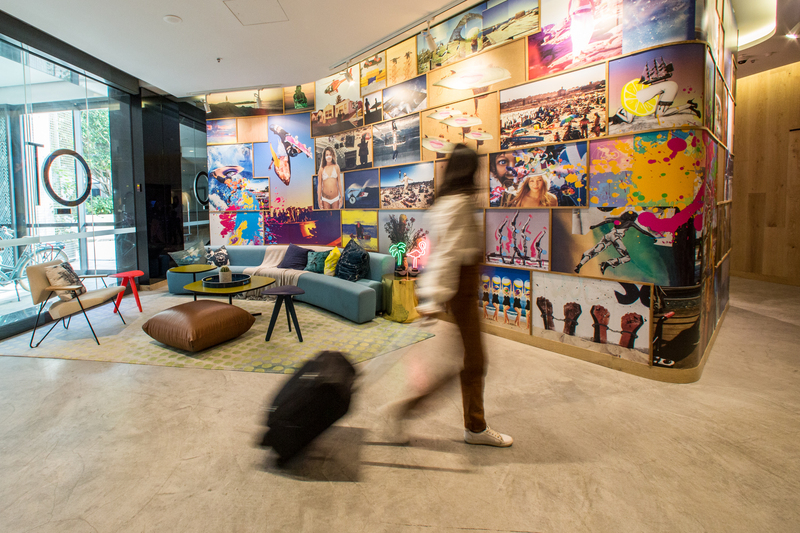 From here, you can pretty much explore the Bondi area without any need for a car. QT even have bicycles if you want to venture a little further. 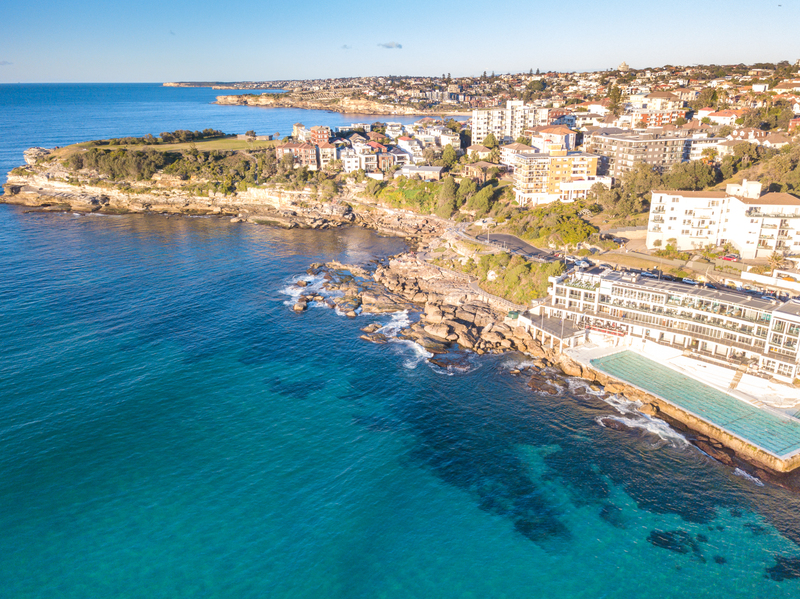 With warm sunny winter skies, first activity on the list is the Bondi to Bronte walk. It seems inconceivable that I’ve never done this before as it’s one of Sydney’s most iconic walking trails. 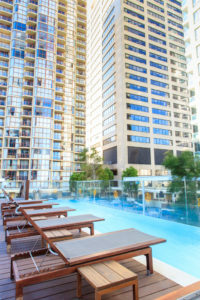 Starting at Bondi Beach, you walk along tall sandstone cliff tops with spectacular panoramic views of the ocean as well as taking in the luxurious homes that fringe the track. 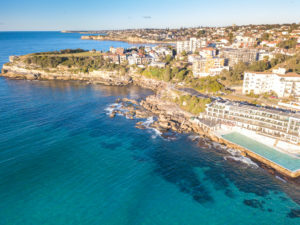 The walk around to Bronte is about 1.5 km and takes very conservatively about an hour, however this includes a really easy walking pace and plenty of stops to take in the panoramic views and time for pictures along the way. Passing Tamarama Beach, this is also a great coffee stop with a cute little café on the beach. 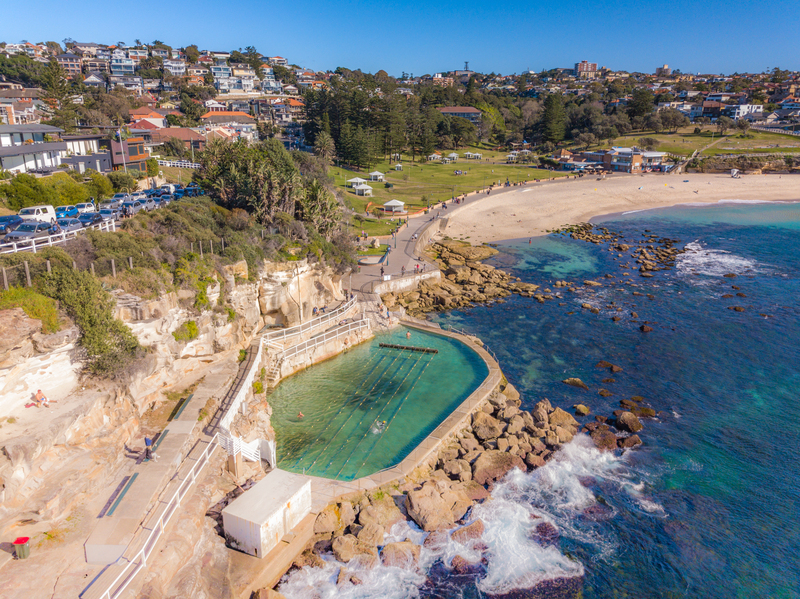 Bronte beach is one of the more famous beach baths in Sydney, however did you know there are actually 44 in total, so plenty to choose from. Almost every beach in Sydney has a natural rock pool for those who want a more protected ocean swim and the best part is, most are free. Whilst these ocean pools provide a calm ocean experience with the waves crashing over the rock walls, they also make for spectacular images, iconic to Sydney. It always amazes me that other beach locations like the Gold Coast don’t create tourist attractions like these, especially with the vastly better weather. 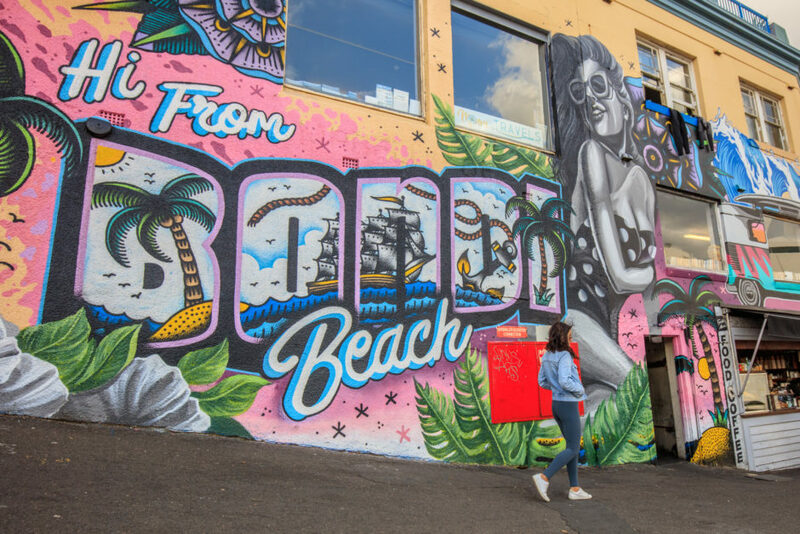 After a good walk on the Sydney walking tracks, it’s time to hit the streets and back streets of Bondi and experience some of their great cafes and restaurants as well as boutique shopping. The Markets held at Campbell Parade every Sunday from 10am to 4pm offer fresh flowers, food, fashion and local crafts. 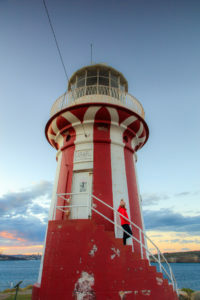 Finally, if you are staying in the Bondi area, another great ocean walk is to Hornby Lighthouse. 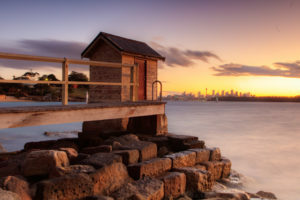 About a 15 minute drive via the exclusive Sydney suburb of Vaucluse and parking at the cute little beach at Camp Cove, these are well known locations to locals, but not as overrun by tourist crowds. 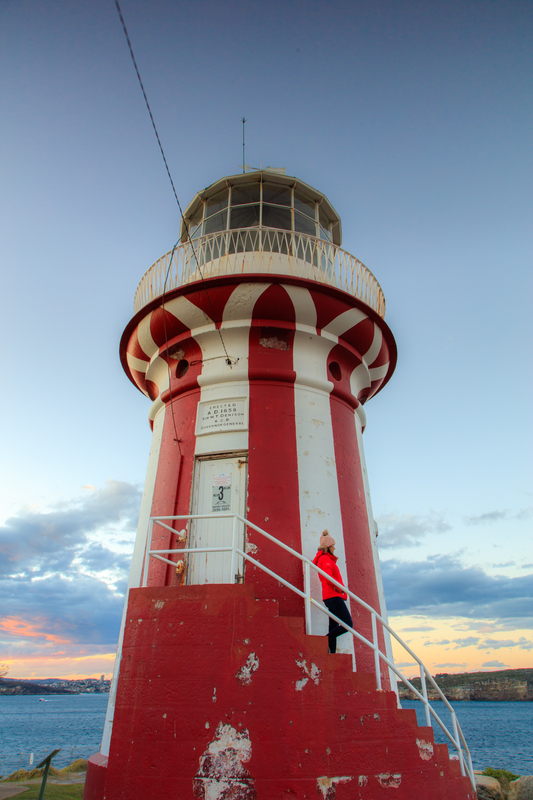 Hornby Lighthouse is impressively painted in red and white strips making it a striking landmark on the entry to Sydney Harbour and Watsons Bay. 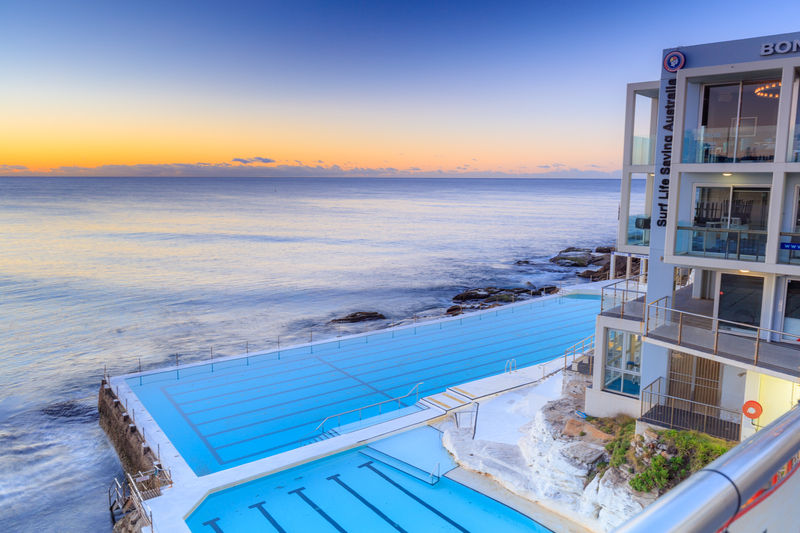 From Bondi Beach, you can’t visit Sydney without a stay in the city. 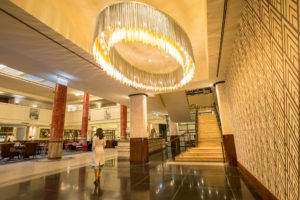 One of the beautiful things about Sydney is its age and history and there’s plenty of historic and heritage buildings including the old Sydney Water building in Pitt Street which has been converted to the luxurious Primus Hotel and was second stop on my visit. Steeped in history, Primus have stayed true to their heritage which is obvious as soon as you enter the building. Opting for “wow factor” over maximising use of space, a huge voided entry with impressive eight-meter high columns of red scagliola marble greet you on entry. 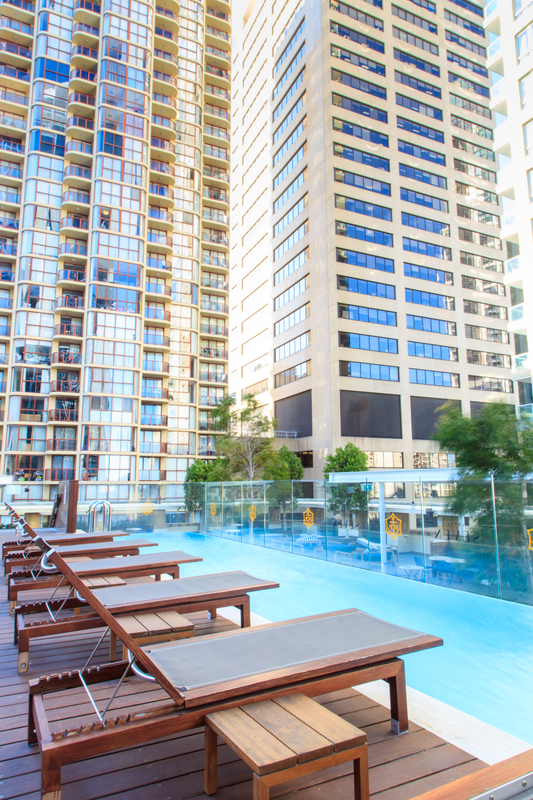 Beautifully appointed, opulent rooms and a great roof top pool and bar, although this is central for all the Sydney city locations, it’s also a great place to just stay inhouse and enjoy the ambiance of this great historic building. 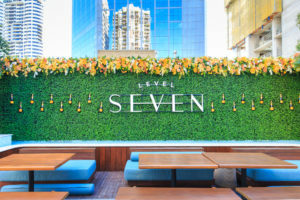 A true hidden gem of the city. 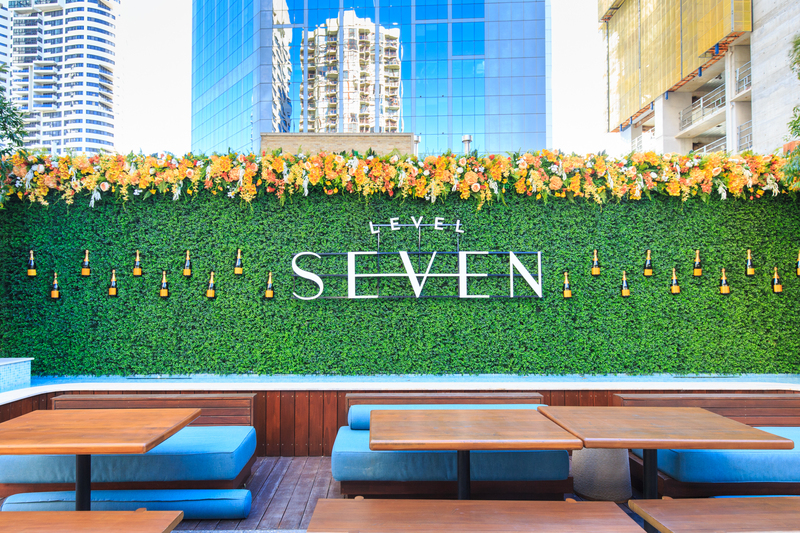 Once in the city, Sydney is full of hidden laneways, underground venues and bars and arcades with unique treasures. There’s no need for a map or guide, get lost discovering this great city with friends and with no set plans.